Artecy Cross Stitch. 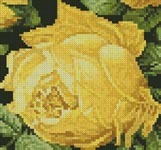 Mini Cross Stitch Patterns of Flowers to print online. Below is a gallery of the Mini Flower Cross Stitch Charts we have designed so far, all the patterns are available to buy at our Artecy Shop. If you click on an image below you will see the full pattern details and a link to where you can buy the cross stitch pattern at our Artecy Shop. NEW!! 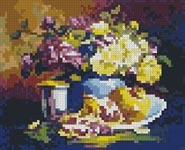 Artecy Cross Stitch has another new website for the fantastic new craft of Pixelhobby We can convert most of our cross stitch patterns over to Pixelhobby format, best of all it takes you much less time to complete Pixelhobby than cross stitch and there is no counting, or threading needles involved. 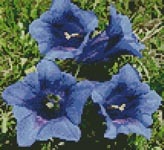 Click on the banner above to see what it's all about.